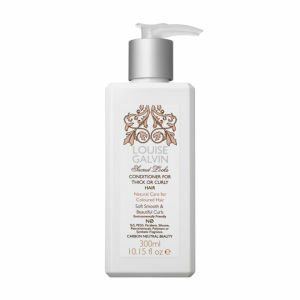 Louise Galvin's colour treatments and hair care ranges have taken the world by storm. With a fantastic selection of natural, sulphate-free treatment masques, shampoos, conditioners, colour removers there's a solution for any of your coloured hair care woes! Louise, daughter of Daniel Galvin was born in to a family, where creating beautiful hair was part of day to day life. With four generations of hair wizards, she was inspired to get involved, and make a name for herself in the exciting world that is modern-day hair care. After trying endless hair products containing damaging ingredients such as silicone and sulphate, Louise decided that she wanted a 'No Nasties' range, that wouldn't suffocate your roots or damage your scalp. This suphate-free range has natural ingredients and treatments for fine, thick or curly hair, to make sure you can care for your lovely colourful locks, and promote longer-lasting colour. You can shop the range now at Lookfantastic.com, with free delivery worldwide!